Similar to Christians in ages before, Christians today struggle with the significance, permanence, and place of the Old Testament Laws in our lives. This is compounded by those outside, namely from the homosexual community, whose consistent response to Christian objection to immoral behavior is that we are picking and choosing which laws to follow. We enforce some, regarding homosexuality for instance, and fail to enforce others, regarding mixed cloths, shellfish, and menstrual purity. Those detractors raise and interesting point, because in one sense they are correct. It would be really bad and wildly inconsistent if we arbitrarily picked a randomly selected set of verses and made them obligatory while simultaneously randomly selecting another set of verses declaring them no longer binding. To their credit, I agree that this kind of pick and choosing would be terrible and inconsistent. However, from one simple read through of the Old Testament every person knows that things have changed for Christians today. We no longer offer sacrifices. We no longer have a Temple. Not only so, but the New Testament explicitly lays those things out as changed. A large portion of the New Testament is about the controversy of what fulfilling the Law means now that Christ has come. Anyone who has the thinnest acquaintance with the Bible knows that fundamental things changed between the Old and New Testaments. And yet, anyone who has the thinnest acquaintance with the Bible knows there are some things that are exactly the same in the Old and New Testaments. There is no doubt that we God desires us to be obedient to his Law. God makes that clear in the Old Testament and Jesus echoes that message in the New. But the question is what does obedience look like for us today? Traditionally, when talking about what laws are different and which are the same Christians have talked about the threefold, or tripartite, divisions of the Law (moral, ceremonial, and judicial). While agreeing with this, I think there’s a better way of framing the issue. I’d prefer to divide them by Creation Law and Redemption Law. For example, there are Laws in the Old Testament that when obeyed today will look exactly the same as they did in the Old Testament. These are creation laws. These laws are a part of the created order and obedience to them looks the same today as it did to Adam and Eve. Obedience to “Do not steal” looks the same today as it did in 1200 BC. Another example is found in Proverbs 12:10. “Whoever is righteous has regard for the life of his beast.” Obedience to this looks the same today as it did back then. Moses would have objected to animal abuse back then on the same grounds that I would today. On the other hand, there are laws in the Old Testament that when obeyed today will look different than they did in the Old Testament. These are redemption laws. The New Testament teaches that Christians have been redeemed from the letter of the law and delivered to the spirit of the law. Ultimately, obedience is still what God desires, but it will look different today than it did then. For example, if someone asks if Christians obey and observe Passover, our answer should be a resounding “Yes!” God commanded his people to celebrate Passover. We shouldn’t just ignore this law by writing it off or abolishing it. We should obey it, but obedience for us looks different than it did in the Old Testament. In 1 Corinthians 5:7-8, Paul even says Christians Passover celebrations will look different. In 300 BC, to celebrate the Passover they rid the house of actual yeast and prepared an actual lamb. In 2015 AD, we rid our house, the Church, of the yeast of malice and evil and gather around the Lamb of God, Jesus Christ. We still keep the Law, but it has been fulfilled in Christ so our obedience looks different. For Jesus, obedience looked like keeping Sabbath, celebrating feast days, not cutting the corners of his beard, having tassels on the corners of his garment, and not wearing mixed fabric. But it also looked like not stealing, not murdering, not coveting, not envying, and loving God with his whole heart. So the question, “Should Christians obey the Law of Moses?” is a fundamentally flawed question. The question should be phrased, “How should Christians obey each of these specific commands within the Law of Moses?” The first step to answering that question is determining whether or not we are dealing with a Creation Law or a Redemption Law. In Galatians, Paul calls the Law a schoolmaster that was designed to bringing us to Christ. This means that majority of the Redemption Laws in the Old Testament would have served as a large-scale acted out audio/visual aid that was used to teach the people of God, both then and now, the concept of holiness. Essentially, God was teaching that we should distinguish and separate and He cares about those divisions. God is teaching us, through the Law, this rudimentary lesson that He cares about how things are done and that we obey and follow instructions. 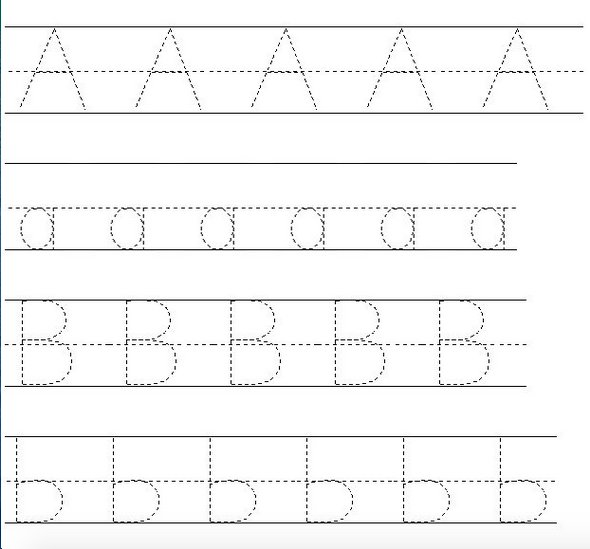 When elementary teachers teach children to write, they give them fat, stubby pencils and special paper with the extra wide margins that has the silhouette of the letters they are making already printed on it. The elementary teacher does this full well knowing that when those children have matured and grown up, they will not be writing that way. But as it is now, they need to learn the basic concept. 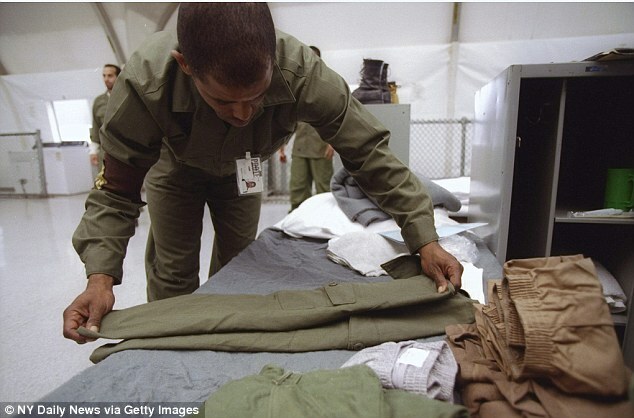 When the military prepares troops for battle, they send them to boot camp where a drill sergeant will scream his head off about how their shirts are folded and how their bed is made. This seems strange because, as we all know, the military doesn’t actually care how you fold your clothes or make your bed. Boot camp is not the place all clothing retail workers are sent because it’s not really about the folding. Boot camp is the place where all the people who want to be in the military are sent because it’s really about following instructions no matter how small or insignificant. Because during the heat of battle when they say, “Do this. Go here. Shut that,” the last response they want to hear is, “Why?” So they find out whether or not you can follow instructions with shirts and bedding. I believe this is what God is doing and majority of the laws we see in the Old Testament are Redemption Laws that were designed to teach God’s people that He cares deeply when we fail to follow instruction. However, if the two prior analogies are to be considered accurate and not faulty, we should see the Israelites mature and leave these visual aids behind. I believe that’s exactly what we see in people like Samuel, David, Jeremiah, and Hosea to name a few. With maturity, these men were already beginning to distinguish between the outward, external, audio/visual aid and the true purpose of the lesson God was trying to teach them. These men understood what God was going to be doing in Christ. In the person of Christ, we have seen the Law lived out and perfectly fulfilled, so we don’t need the stubby pencil any more. We don’t need boot camp any more. We still need the lessons and principles that we were taught by our schoolmaster, the Law, but now that the schoolmaster has delivered us to Christ, we have reached full maturity and can put those rudimentary things away. Now that Christ has come, we don’t have to keep the visual aid, but we must retain the principles. And Paul goes to great lengths in many of his letters in the New Testament to show us this. For instance, Moses said, “Don’t muzzle the ox while it treads out the grain,” (Deut. 25:4). Paul says, “Look at the principle and you’ll see God was actually concerned about Christian ministers and pastors back in Deuteronomy,” (1 Corinthians 9:9-11). That point was in there from the beginning. And those who were wise in the time of the Old Testament understood it. God’s principles have never changed. His desire is obedience. He called Abram out and told him to obey. He brought Israel out of Egypt into the desert to teach them to obey. He kept them from going into the Promised Land because they failed to obey. Once in the land, the successful kings were the obedient ones and the destructive kings were the disobedient ones. God sent prophets to his people calling them to repent and obey. He removed them from the land and destroyed it because of their disobedience. Enter Jesus. In the New Testament. Giving the exact same command. Obey. The Christian life is one of active, assured obedience. I don’t obey to obtain what I have already been given, a restored relationship with God the Father through Jesus Christ, but I obey because it’s what my rabbi, my teacher, my leader, my God taught me to do…because it’s what He did. First Century Israel was one of the most religious places on the face of the planet at that or any time in history, comparatively speaking. The people there were passionate about God and His Law, passionate about their way of life, and especially passionate about where those two passions intersected. Obedience. This was a direct result of a major event years prior. A few generations before, the ancestors of these obedient First Century Israelites were equally disobedient and were consistently and continually warned of their repetitious, unrepentant disobedience to the Law by God through Prophets. These stalwart men were agents sent by God to call those ancestors back to the Law and back to obedience to God. However, those ancestors mocked, ignored, silenced, and killed those Prophets refusing to obey, so God exiled them into a foreign land while simultaneously taking away the land He gave them. All because of disobedience. Interestingly, the Old Testament leaves off with most of these Israelites still exiled in a foreign land. Only a few return to find their home demolished and begin the rebuilding process. And so, as a result, this generation living in First Century Israel was overwhelmingly passionate about obedience. This is the context in which Jesus is living. This is the audience to whom Jesus is speaking when he gives his first sermon. Matthew the Evangelist was one of these people and it was to these people that he was writing to when he recorded Jesus’ first sermon, not unintentionally, at the beginning of his book. In Matthew’s account, this sermon (on a mount) is the first teaching we hear of Jesus. Matthew’s introduction to Jesus’ message, his ministry, and his purpose all springs from this speech. Christ’s preaching was so entirely different from that of the popular teachers of the day (Pharisees and Sadducees) that people must have thought he was a revolutionary trying to subvert God’s authority and insert his own (like the Zealots). Even from the minimal preaching he had done, it was obvious that he did not echo the prevailing theology of the day (like the Essenes). So Jesus reassures his listeners that he hasn’t come to abolish the Law but to fulfill it. To communicate that, Jesus uses two rabbinic idioms that are still used by rabbis today. Abolish the Law & fulfill the Law. In Hebrew, the word Law is Torah. The word batel can mean abolish, but it can also mean nullify or undermine. Similarly, the word lekayem can mean fulfill, but it can also mean complete or accomplish. I know a Christian man who went to a Jewish Seminary in Jerusalem. 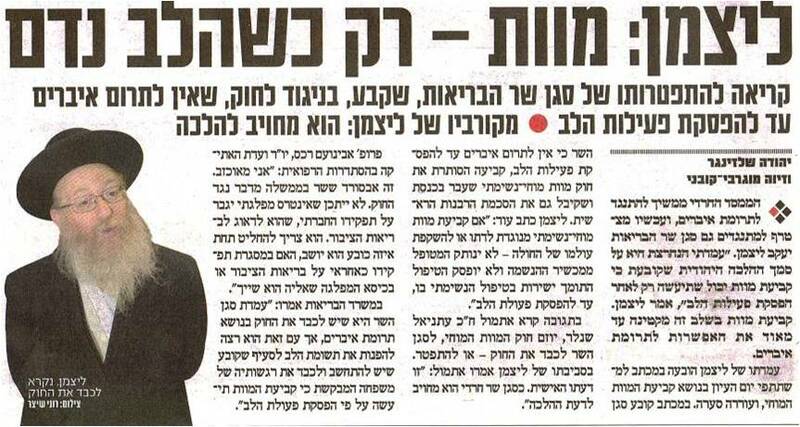 There, he said, the rabbis didn’t give him grades on his papers. Just “batel” or “lekayem” written across the top of his papers. They do this because when rabbis commission their disciples to “fulfill the Torah,” they mean “properly interpret the Torah correctly so that it can be lived out correctly.” When they warn against “abolishing the Torah,” they are warning against misinterpretation that inhibits people from living out God’s commands correctly. When Jesus said that he had come to fulfill the Torah and not to abolish it, he means, “I am here to properly interpret the Law of God and show you what it means to live it out, not to misinterpret it so that you’ll never be able to please God.” What is he directly implying to this highly religious, obedient society? “You haven’t been properly taught or shown what fulfilling the Law looks like. The Pharisees haven’t shown you. The Sadducess haven’t shown you. The Zealots haven’t shown you. The Essenes haven’t shown you. That’s why I’m here.” And this is exactly what he does in the rest of his sermon. He “lekayem-s” the Law of Moses. He talks about anger, oaths, lust, marriage, divorce, retaliation… all things in the Law of Moses. Why does Jesus make this statement? Why does Matthew bother recording it? Jesus is trying to teach us something about the Scriptures and their relationship to God. Look at the next verse. Jesus is communicating a very high view of The Old Testament. That’s the Bible Jesus read, and he is acknowledging it’s immutability, permanence, and stability, right down to the iota or dot. Hebrew is an interesting language when written down, because so many of the letters look the same. The only thing separating some of them is a small little jot or tittle of the pen. Jesus is upholding the reliability of the text. He is echoing the Prophets of old, for Isaiah says, “The grass withers, the flower fades, but the word of our God will stand forever,” (Is. 40:8). Jesus wants everyone to know his mission and purpose was to lekayem Scripture because to Him, it is more secure than the heavens and the earth. And remember, Jesus here is talking about the Law. Earlier in Matthew’s Gospel, Jesus said our “bread” should be every word that comes from the mouth of God. And he’s talking about the Law. Later in the New Testament, Paul writes to Timothy telling him the Scriptures are useful for teaching, rebuking, correcting, and training in righteousness. And he’s talking about the Law. Paul also says that Scripture is breathed out by God. And he’s talking about the Law. Nothing could be more wrongheaded than the popular idea that the Christian needs only the New Testament. This idea was perhaps reinforced by the separate printings of New Testaments, apart from the Old. It most certainly was not caused by reading the New Testament. Nothing is more patently taught in the pages of the New Testament than the continuing and abiding authority of the Old. This frames our understanding of Jesus’ next command (I prefer invitation). These commandments that Jesus is referring to are the ones in the Law of Moses. And he is telling his listeners, both ancient and modern, that if they relax or disobey one of the least commandments and teaches others to do so as well, they have no place in the Kingdom he is building. They have no place in his movement. Jesus is telling his disciples that they need to be “lekayem-ers” of the Law like he is. He said, “I have come to lekayem the Law…to show people what it looks like to live it out in flesh and blood. You want to be my follower? You do it too.” That’s heavy and resonates with us, as it should, but this would not have been the most shocking thing to his listeners. This highly religious audience would have welcomed this invitation to keep the Law together in community. The next phrase is the kicker. This would have been the most profound, shocking, riot-inducing statement that Jesus’ audience heard. This would have shocked and awed them to no end. The scribes were the most renowned teachers of the Law. They were the priests’ priests. They were the chief interpreters of the Law. They were Levites that could trace their lineage back to Aaron. If you wanted to understand the Law, you listened to the teaching of the scribes. The Pharisees had the reputation of being the most exemplary models of the Law. The Pharisees were a sect of Judiasm that formed a moral code of ceremonial acts more rigid than the Law of Moses based on passed down traditions. They were held in the highest regard among the Jews of the day. If you wanted to know what it looked like to live out the Law, you watched the Pharisees. Jesus has just finished telling his listeners he had come to “lekayem the Law.” They had likely heard this before. They were just told the importance of the Law and that they needed to participate in “lekayem-ing” it as well. They had likely heard this before. Sense the tension. The only people they had seen do this were the scribes and Pharisees and they knew they couldn’t do it like them. And then Jesus says, “You have to do it with more righteousness than the Pharisees.” This would have shocked and awed the crowds. Remember back to a few generations before when the ancestors of the Pharisees and all of Israel was rebelling against God by bringing idols into the Temple, oppressing the poor, bringing offerings to God that were lame or blind. Remember how God sent prophets to call them back to obedience. Remember how they refused time and time again, so God exiled them and caused them to be captured by a foreign nation. Those disobedient Israelites told this story to their children and their children’s children and not long after, a generation was raised up that said, “We are never gonna let this happen again. If we get a second chance, we are not gonna blow it.” And generations later, the Israelites were returned to their home and began rebuilding. That next generation, the Pharisees, began doing things differently…sort of. They certainly put much more emphasis on the Temple laws their forefathers neglected, but they still missed the point. The pre-exile Jews didn’t care about the outside or the inside. The post-exile response was to care only about the outside leaving the inside to neglect. Jesus hasn’t given us a free pass to override the Law of the Old Testament. On the contrary, he has made it clear that we are to adhere to the Law and do so in a way that is not solely outwardly religious like the Pharisees. But… what does that look like? What does it look like for us, for Christians to “fulfill” the Law? What does it look like for us, for Christians to “abolish” the Law? I’ll hope to tackle those issues and more in the next post. As most of you know, I’m a regular contributor over at West Virginia For the Gospel, “a coalition of like-minded individuals who wish to see reformation take hold in West Virginia and the Gospel message be proclaimed throughout.” Over the past two weeks, I have written five articles in a series called “First Christmas.” As the long awaited day of celebration draws closer, I wanted to give you all the articles in one place so that you could be sure to read them or pass them on (or both)! First Christmas: The Shepherds – What is the significance of the shepherds’ presence at the First Christmas? First Christmas: The When Part 1 & Part 2 – What is the significance of the date or timing of the First Christmas? First Christmas: The Birth – Where was Jesus actually born and is it really that important? First Christmas: The Magi & Conclusion – What is a magi, why were they at the First Christmas, and what is the point of all of this?